It’s toe-tappin’ time! 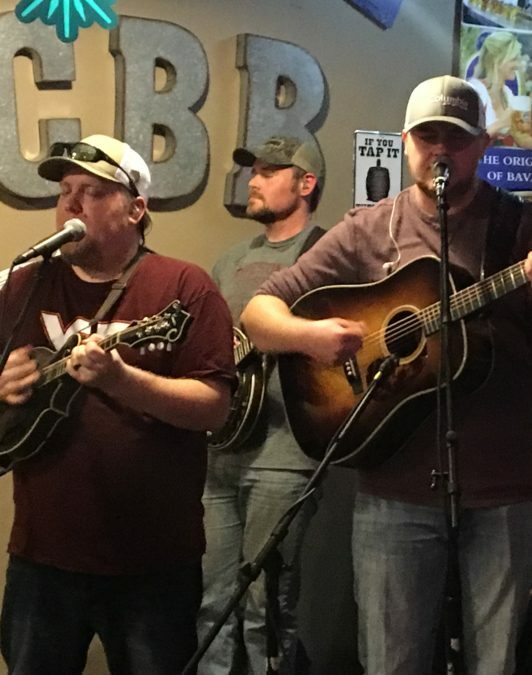 Common “Creek Bottom Boys” are Tracy Burcham bumpin’ bass, Kevin McKinnon on the mando, Jason Davis on banjo, and Jacob Greer on guitar. These guys will be putting on a free bluegrass show for everyone to enjoy! Come by and take advantage of our “$10 8″ Pizza & A CBBeer Special” while you’re flat-footin’!